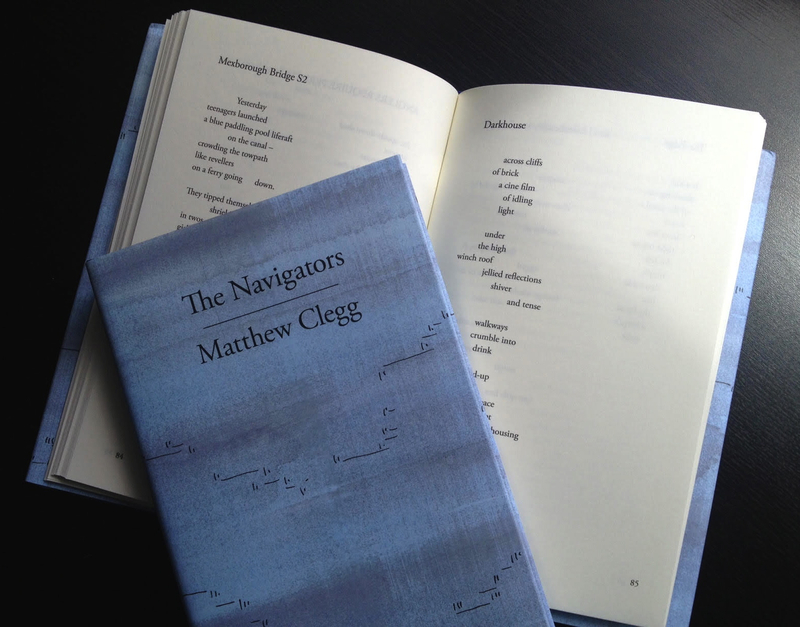 The Navigators is the second full-length poetry collection by Matthew Clegg. A beautifully produced 128-page hardback, it is available from Longbarrow Press for £12.99 (+ P&P). You’ll also receive a free copy of the colour-themed pamphlet The Rose of Temperaments (featuring poems by Angelina D’Roza, A.B. Jackson, Chris Jones, Geraldine Monk, Helen Mort and Alistair Noon). You can order the book securely by clicking on the relevant PayPal button above. The Navigators explores the portals that connect time and place, and meditates on the element of water, as it moves through both. The book opens with rain falling in the Lake District, flowing to the South Yorkshire waterways, before arriving at the North Sea. The poems triangulate mental journeys between past, present and projected future. They draw on the dynamic physical geography of Cumbria and the East Yorkshire coast and on the life (and afterlife) of the canals of Leeds and Mexborough. The personal and historical ghosts that populate these landscapes are invoked or addressed. Versions of Apollonius, Aristophanes and Homer introduce an extra-temporal dimension, most apparent in the closing sequence of the collection, where these mythical, personal and historical threads are finally woven into one fugue-like movement. The Navigators is an affirmation of the reflection and regeneration that we find where waters meet and mingle; these literal and metaphorical thresholds offer both expedition and epiphany. Click here to watch other short films for The Navigators. An earlier Navigators audio podcast (recorded on location in Denaby Ings nature reserve on 18 August 2015) focuses on the poems ‘Brigand’, ‘Mexborough, Water-Fronted Properties Released’, ‘ANGLERS REQUIRE PERMITS’, ‘The Tang’ and ‘When They Next Make You Redundant’; the percussive rhythms of rain on the metal roof of the bird hide are audible throughout. 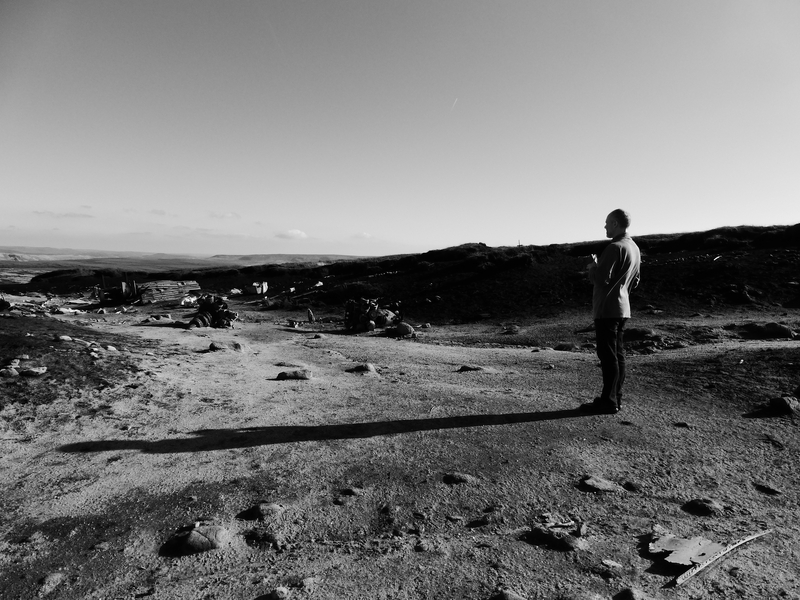 Matthew Clegg’s publications include Nobody Sonnets, Edgelands, Lost Between Stations and West North East, all from Longbarrow Press. He received an Eric Gregory Award in 1997, and was a writer in residence at The Wordsworth Trust from 1999-2001. He has worked as a youth development worker, a project manager and as an Arts Council Literature Officer. He currently teaches creative writing at Derby University. His poetry moves between narrative and lyric impulses, and it frequently explores a tension between the poetic and the anti-poetic, or quotidian reality. Click here to listen to Matthew Clegg reading from his recent sequences.